McCowage Hall. The main school Hall used for Drama, Assemblies and general gatherings. A fully equiped commercial kitchen for students with an interest in hospitality. A professional restaurant facility for contemporary Hospitality training. A designated area for our senior students to study, collaborate and connect with one another. 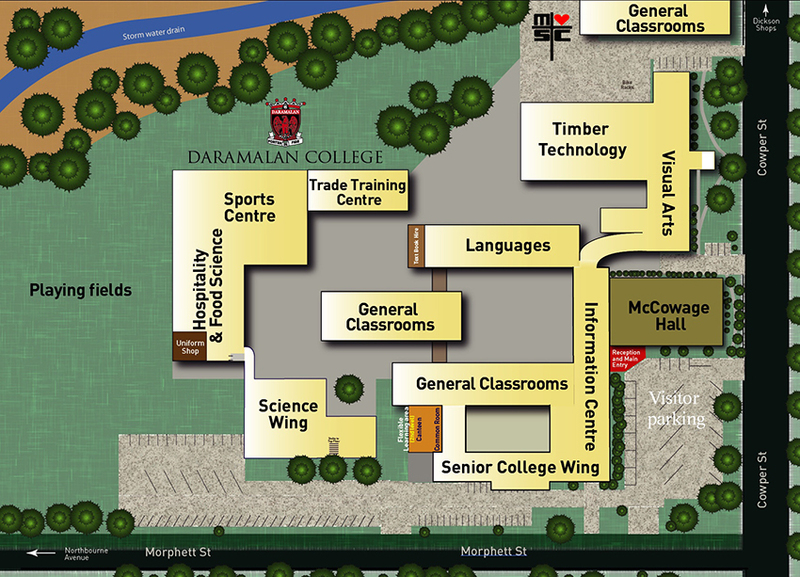 Take a tour of Daramalan College with our 360º Virtual Tour. 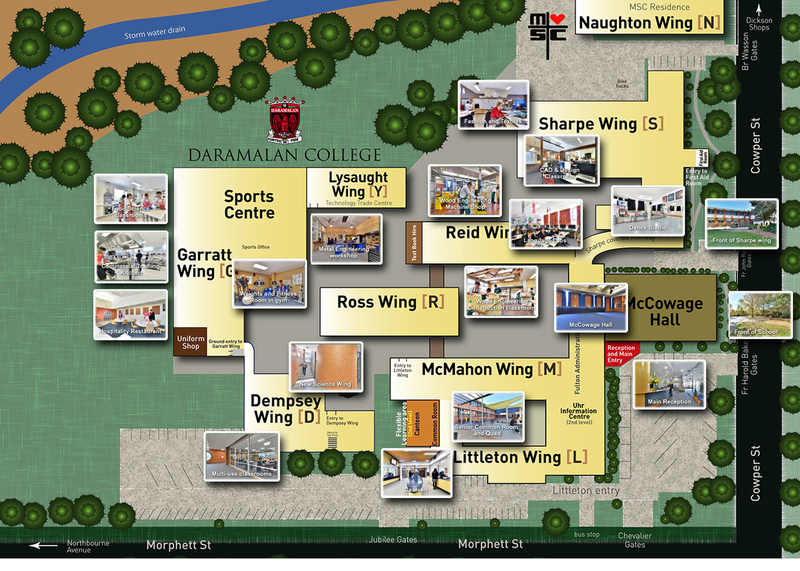 Hover over each tag which will detail where you are in the school, and then click the specified area which will open as a 360º view in a new window.